Last edited by Stacey (186047797) on Fri Apr 19, 2019 11:30 am, edited 1 time in total. Hi Stacey. This outfit is very pretty. Thank you for the chance! Purp!e! Thanks for the chance!! What a beautiful outfit! I am always in awe of the things people put together to wear! My mood hmm I feel nutty/silly so call me sillymooo don't ask why lol. Thanks for the chance. She's CUTE!!!! thanks for the giveaway!!! So beautiful. 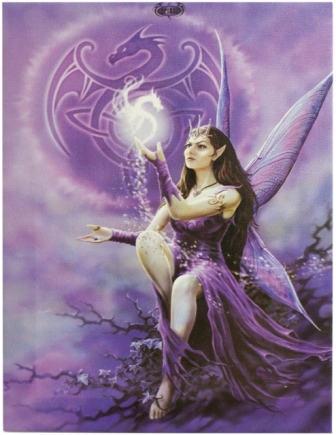 Purple is my favorite color and I love fairies . Very cute giveaway! Ty for the chance, Stacey!